Dr. Peter M. Hamberger, Technology Director Michael Paringer and HR Manager Herbert Scharf welcomed the new apprentices and their parents. 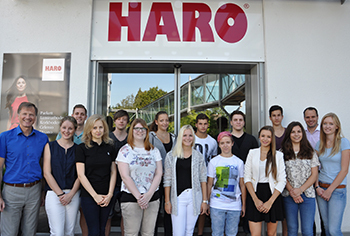 Stephan Greif, Head of Personnel Development at Hamberger, provided information about the company for the apprentices. The apprentices and their parents were taken on a guided tour of the plant after the company presentation and given an opportunity to get to know the impressive dimensions of Germany's leading parquet manufacturer. As the new training year kicks off, the company will train a total of 33 apprentices.